Israel - The Order of the Daughters of the King, Inc. The Rev. 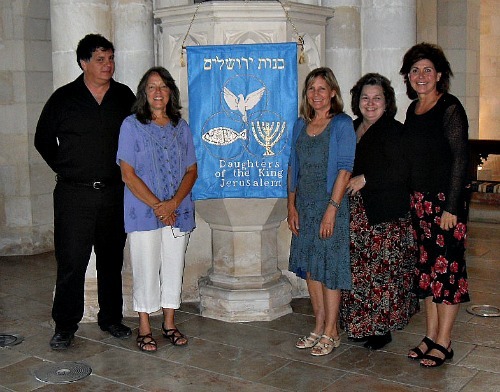 David Pileggi, Rector of Christ Church, Jerusalem, instituted the first chapter of the Order of the Daughters of King® in Israel on September 11, 2011. Representatives from the USA and Italy were in attendance to present the charter and admit the new Daughters of the King. The Order is part of the world-wide Anglican Communion. Christ Church is the oldest Protestant church in the Middle East, dating to 1843, and this is the first Daughters of the King chapter to be instituted in any church in the Middle East. and Dr. Rosemarie Valentine, visiting from Rome, Italy.